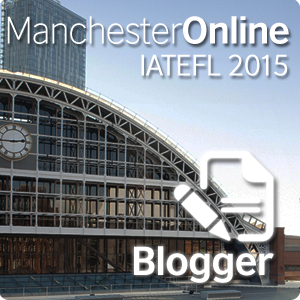 The IATEFL 2015 conference was held in Manchester, UK from 11 to 14 April. The Manchester Online website offers live coverage of some of the sessions during the conference. The conference was already over 5 days ago, but the recording of some sessions and interviews are still available on the site for you to watch if you like. 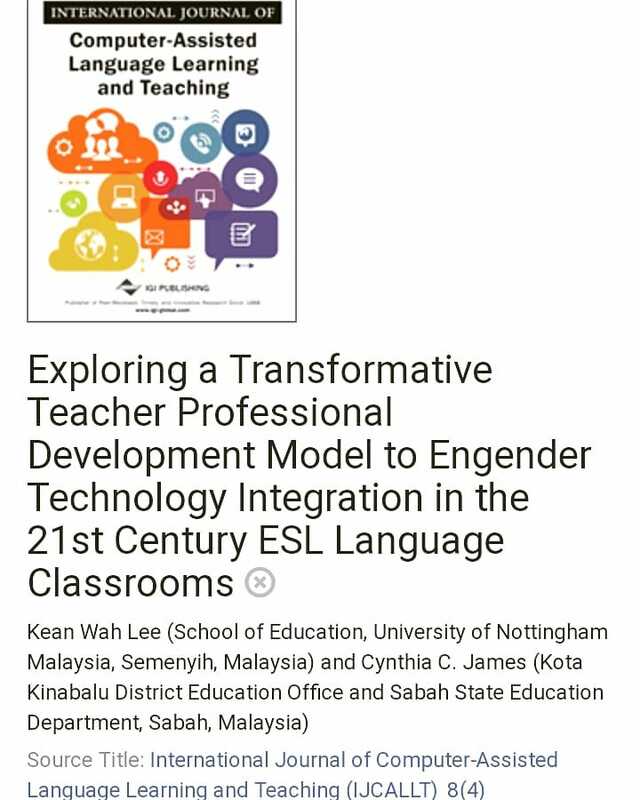 Since one of my passions is working with the parents of students to help students optimise their learning, naturally this would be one of the sessions that caught my attention. Karen Saxby from Cambridge English talks about the importance of engaging parents in their children's English language learning and offers some tips on how teachers can guide parents to do just that. They just want to have fun and enjoy the experience of learning a foreign language with their children. ...and a lot of other reasons. According to Saxby, there is no 'one size fits all' - each situation is unique. There are a variety of reasons why parents might be reluctant to let their children learn English, or a bit hesitant in providing their children the support in learning the language. Saxby refers to these four roles as "the four essential union functions to wellness and the path to maturity" i.e. 'I think' (information), 'I feel' (caring), 'I do' (energising) and 'I know' (direction). I love how Saxby also refers to the characters in the Wizard of Oz as the archetypes for these four roles; 'information' is represented by the straw man who needs a brain, 'caring' by the tin man who needs a heart, 'energising' by the lion who had no courage and 'direction' by Dorothy who knows the way down the Yellow Brick Road. Of course, a teacher or a parent can't do all the four roles all of the time. However, as Saxby puts it (and I think this is very important), when the parents and the teacher combine their two roles, they can cover all the four roles together. I firmly believe that students always benefit hugely from the support of both their parents and the teacher. a) ...explain how vital the parent's role might be even if he/she has little command of English. The parent's main role is to trigger intrinsic motivation. They should ensure that the learning experience is meaningful, fun, varied, interesting, and allow for personal selection and expression. b) ...give parents more information. I can familiarise the parent with the tasks (tests, assessments, assignments) that the child will undertake. Some examples in Malaysian context: Teacher can give parents more information about LINUS - the constructs, how the screenings are conducted and etc. Or parents of Year 6 students can be given more information regarding the format of the UPSR paper and how their children can score in each question. c) ...show the parent how to access online (or offline) resources. I can recommend websites, books, learning aids and other tools that the parent can access in order to help his/her child learn. d) ...share ideas with parents at a parents' meeting. I can let the parents know that it is okay to make mistakes. I can tell the parents that children learn better through creative activities such as drawing, role-play and etc. I can share with the parents how they can effectively use pictures and stories to help their children learn English. Even one minute practice now and then will help build children's confidence. Saxby stresses that it is important for the parents to know how helpful and important their role can be, regardless of their limitations. Even if the parents feel unable to give information or direction, they can help tremendously by simply showing interests, providing attention and giving motivations. Parents should know that they can have fun in this shared quest, and maybe even learn something new in the process. speak some English for at least a minute a day, e.g during meal time, in the car etc. Here's a video of Karen Saxby's session. You can download her presentation slides here. You can also access the video and the presentation materials on Manchester Online website.